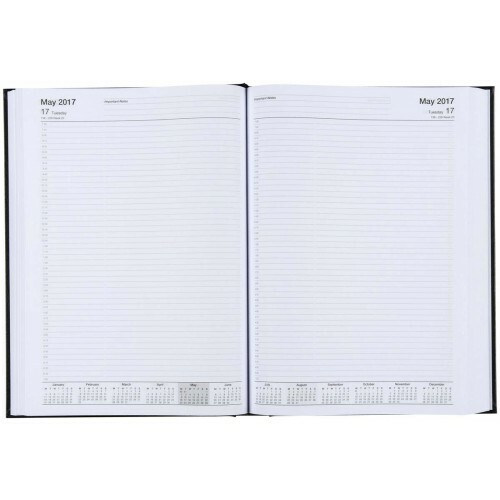 This series of diaries, from Cumberland, feature a range of page formats and appointment times to suit many professional needs. Bound in a soft look padded Burgundy cover, with times clearly printed down each page on crisp white paper, each dated page layout features a year to view calendar, week numbers, Julian day counts, Australian and International holidays as they occur as well as being packed with 8 pages of information including: three-year calendars, public holidays, school terms, international holidays, weights & measures, conversion tables, staff leave planner, current and forward year planner. 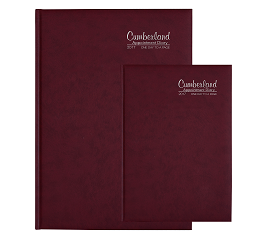 Cumberland's classic appointment desk diary now carries FSC® Certification. 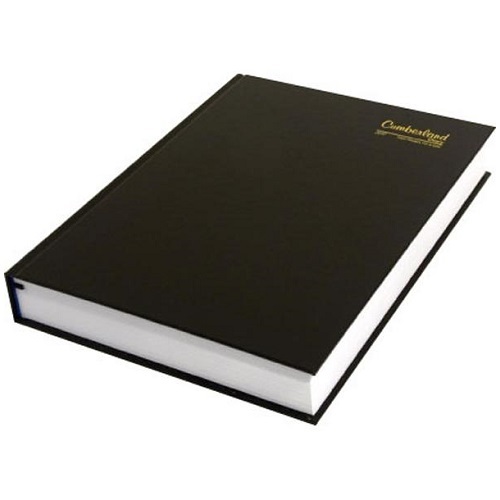 Traditional casebound, leatherette look hardcover with individually sewn sections for durability combined with the elegance of fine white paper.